Sexually Transmitted Diseases (STD) are infections caused by either bacteria or viruses. They are spread through different types of sexual contact. You may feel embarrassed about having a sexually transmitted disease, and it may be hard for you to go to a provider or clinic for help. However, you and your partner MUST receive treatment for the STD; it's the only way you can maintain your health, prevent re-infection, and stop the spread of disease. The STD Clinic offers confidential express testing or exams on a walk-in basis. Appointments can also be made by calling the Public Health Department Clinic at 262-636-9431. Express Testing: Monday - Friday, 8:00 am - 4:00 pm. This includes blood and urine tests for HIV, syphilis, Hepatitis C, chlamydia, gonorrhea, and trichomoniasis. Exams and Testing: Monday, 2:00 pm - 5:30 pm, and Wednesday, 10:00 am - 12:30 pm. Focused exams with a nurse are available if you are having symptoms, such as pain, sores, itching, rashes, or discharge. Fee: $20 per visit. No one will be turned away of unable to pay. Free condoms are available Monday to Friday, 8:00 am - 5:00 pm. STD screenings with a nurse are offered on a walk-in basis during clinic hours, no appointment is necessary. If you are having symptoms, please call 262-636-9431 for an appointment to see our nurses. If you are unsure whether you need an appointment, please call our office. All Clients: $20. You will not be turned away for inability to pay. Cash, check, and credit card (Visa and MasterCard) are accepted for payment. Monday - Friday 8:00 AM - 12:00 PM and 1:00 PM - 4:00 PM. Confidential HIV testing is available during regular STD Clinic hours or by appointment during normal business hours. The City of Racine Public Health Department is introducing its "Take Control: Your Body, Your Health " campaign, a public awareness campaign aimed to reduce the burden of sexually transmitted diseases (STDs) the Racine community. Although the acquisition of STDs is easily preventable through the proper use of condoms, it is difficult to reach all parts of the population to ensure individuals have the proper education and tools available to them. 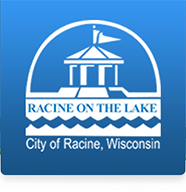 Therefore this campaign incorporates many venues and partnerships to connect with individuals who may need the services of the City of Racine Public Health Department. If you have questions or would like more information, call 262-636-9498.